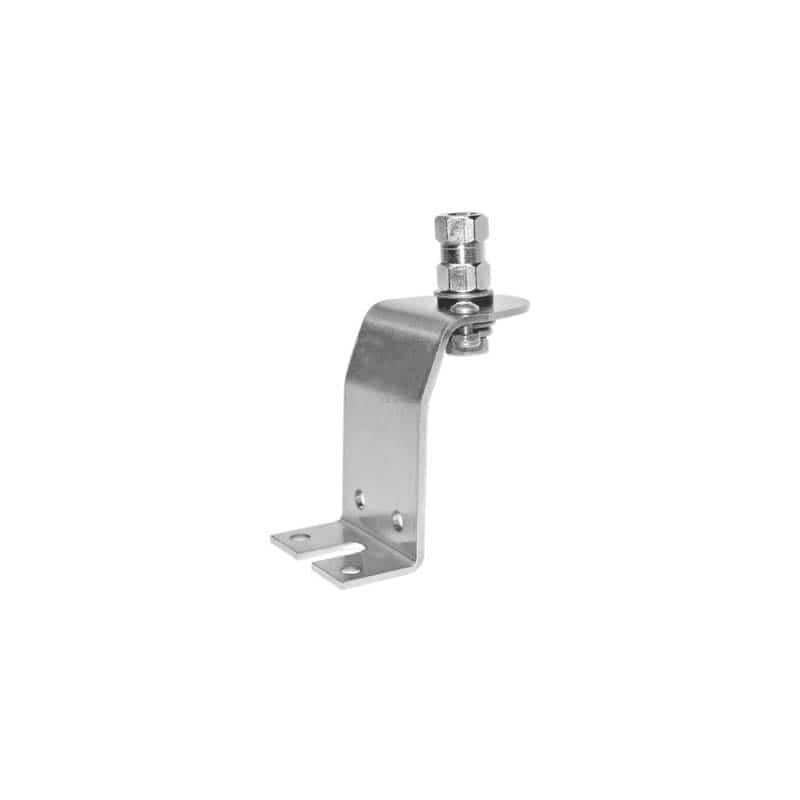 The Accessories Unlimited AUF2-L Stainless Steel Hood Channel Mobile Antenna Mount is a direct fit for Ford F150, F250, and F350 pickup trucks. For a clean install with no drilling required, go with the AUF2-L CB antenna mount. The AUF2-L hood mount is designed for Ford F150, F250, and F350 in 1999. It will work with 2000-2007 F150's, 1999-2007 F250's, and 1999-2007 F350's. The AUF2-L will also fit 2007 Chevy/GMC trucks. The Accessories Unlimited AUF2-L hood channel mobile antenna mount positions your CB, Amateur radio, or scanner antenna in the best location for strongest signal strength when installing mobile antennas on Ford pickups. Accessories Unlimited offering quality CB antennas, mounts, and accessories at affordable prices available from CB World your number one online shop for CB radios and CB antennas! The AUF2-L is a sturdy mount that can hold up to 5 foot antennas safely. For 4 and 5 foot tall antennas we recommend attaching the mount with multiple bolts or screws for added support. The AUF2-L mount accepts 3/8 x 24 threaded CB antennas. A CB antenna spring is recommended for use with this mount. A CB coax with lug connectors (hoop connectors) is recommended for this mount. For an even easier install we recommend using this Firestik CB antenna coax.